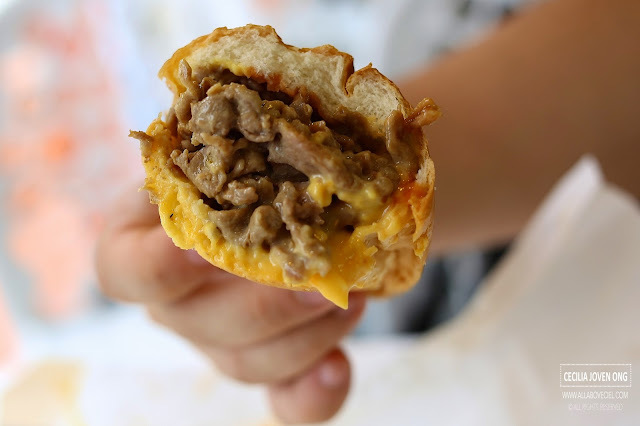 After the absolutely disappointing experience at The Cheese Steak Soup located at Kallang Wave Mall, i am still on the hunt for the best possible Cheesesteak in Singapore. 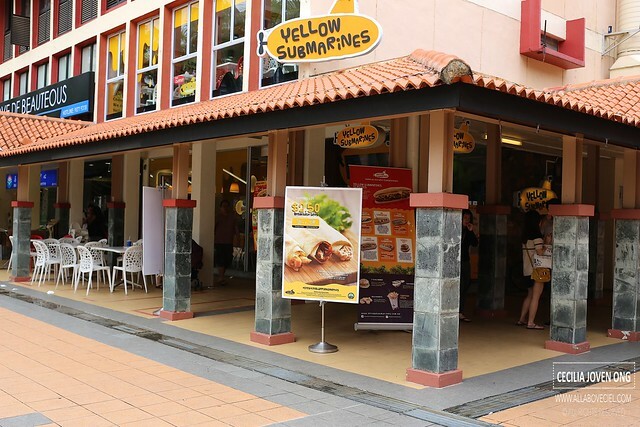 And, it brought me to Yellow Submarines at Toa Payoh Central. I was there slightly after lunch on a Saturday, the place was not as crowded as expected. The ordering counter is at the level 1. You are expected to place your order and made your payment right there. A receipt will be given with a number stated on it and that shall be your collection number when it flashes on the LED panel. 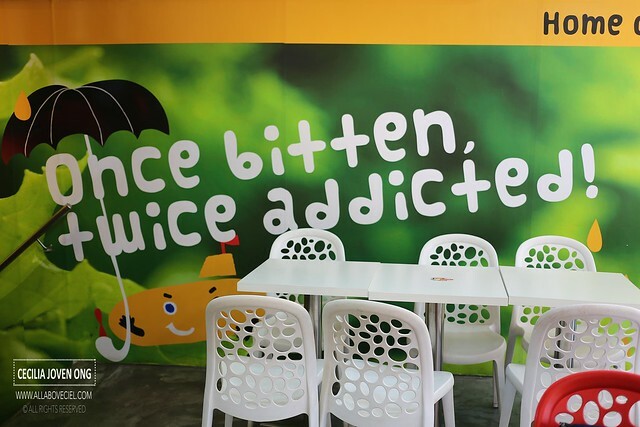 There are quite a few sets on the menu board for selection. 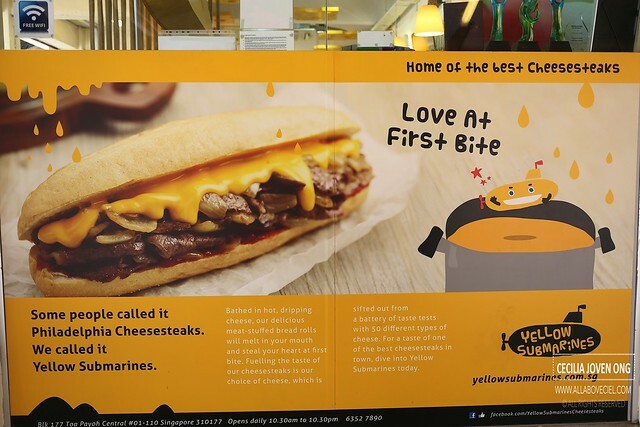 I went for the Yellow Submarine Classic (Set 1) set meal for $9.90 and Philly Submarine (set 2) set meal for $10.90. 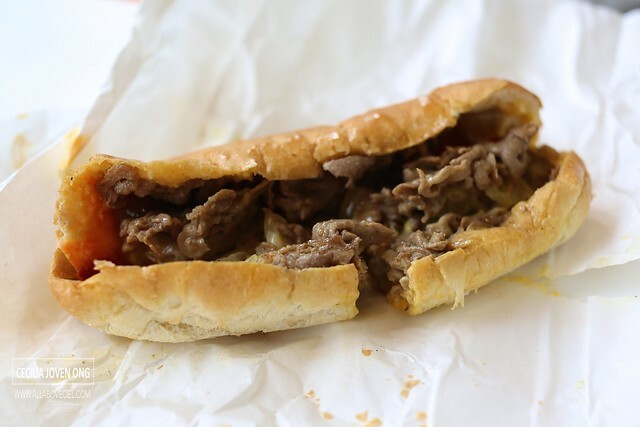 You could choose to have beef or chicken and i opted for the beef for both sets. Cheese fries and drinks are included in the set. You are expected to collect your drink first then the rest later. The number flashed in a bit on the LED panel for collection. 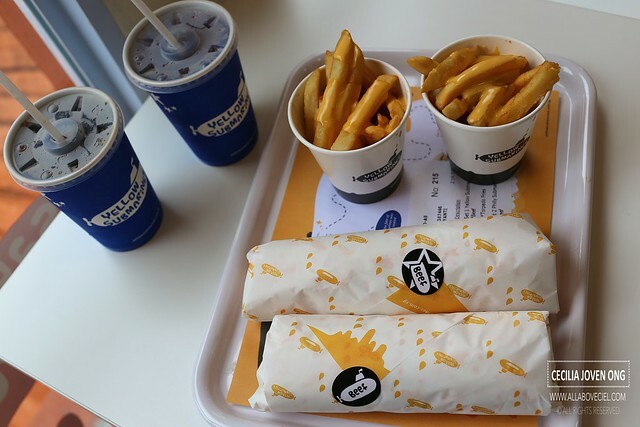 The cheese fries were served in a paper cups and the sandwiches were nicely wrapped. The cheese fries though not particularly crispy, it did not turn too soggy either even after left for a while. 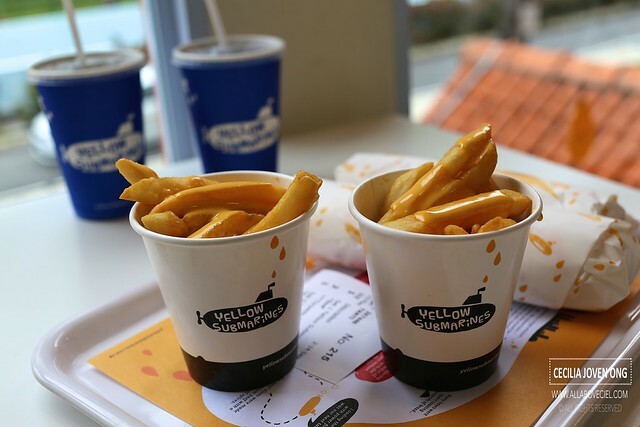 It was served with a generous amount of cheese sauce and quite a bit left over at the bottom of the paper cup even when done eating with those fries. 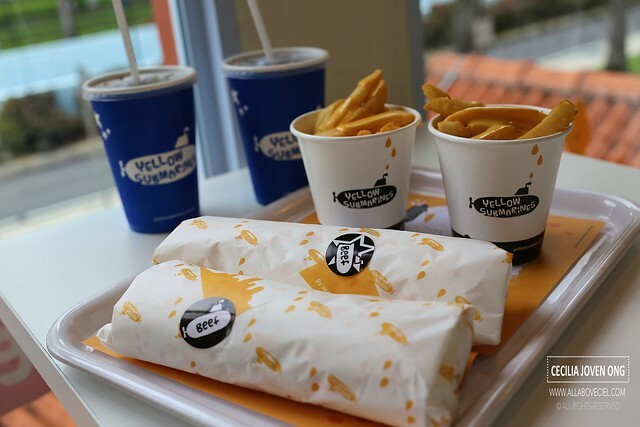 Yellow Submarine Classic consists of thin slices of beef Sirlon served with their specially blended cheese sauce and caramelised onions in a bread roll. 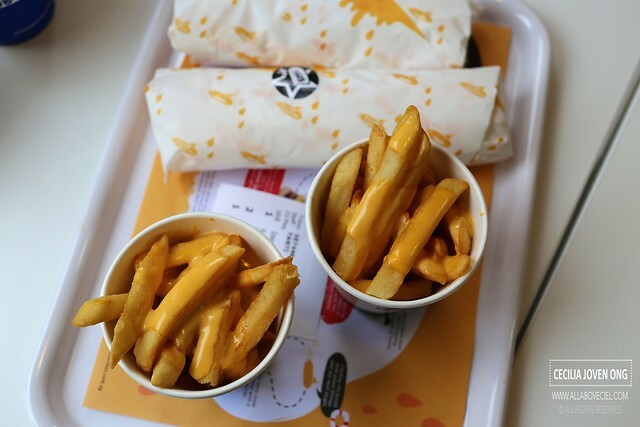 First impression was the cheese sauce tasted a little like those made from powdery cheese rather similar to that particular type of cheese sauce for Cheese Fries. 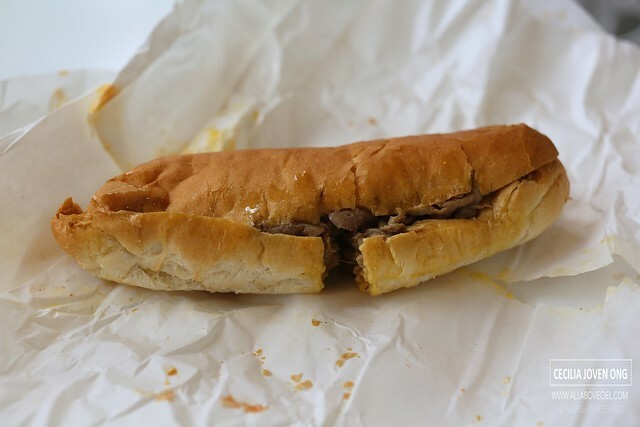 I liked the beef slices much more as compared to those shredded beef used in those sandwiches mentioned in that disappointing experience. 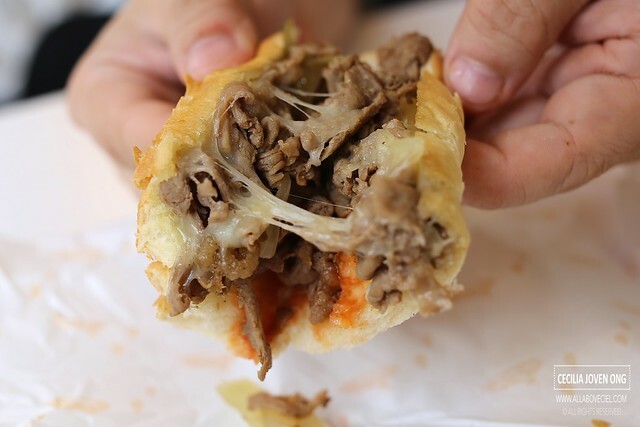 The beef slices here were bigger, juicer and tender. A good amount of Cheese was added with a rather tomato-ish sauce. For $9.90 a set, i felt it is rather good value as compared to the $34 for 2 sandwiches, 2 drinks and 2 sides mentioned in this unacceptable experience. 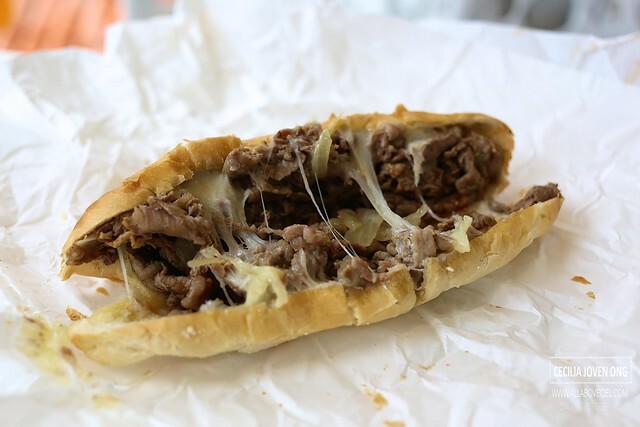 Could you see the amount of cheese in it as compared to this? Now, tell me which one would you choose? I guess the answer is rather obvious. 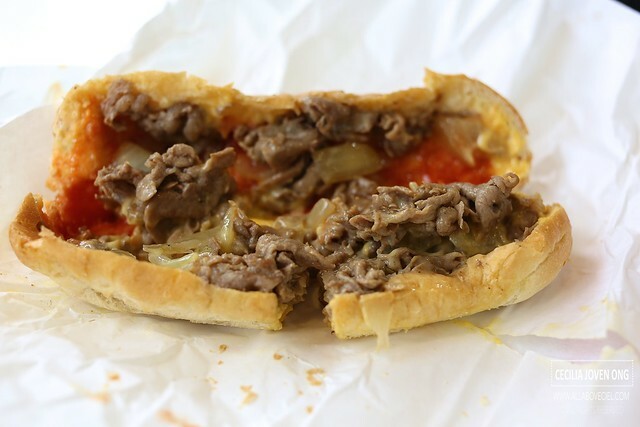 Their Philly Submarine ($7.90) was overall acceptable. It is only $10.90 if you order it as a set. The options for their sets include the beef too and not just chicken. 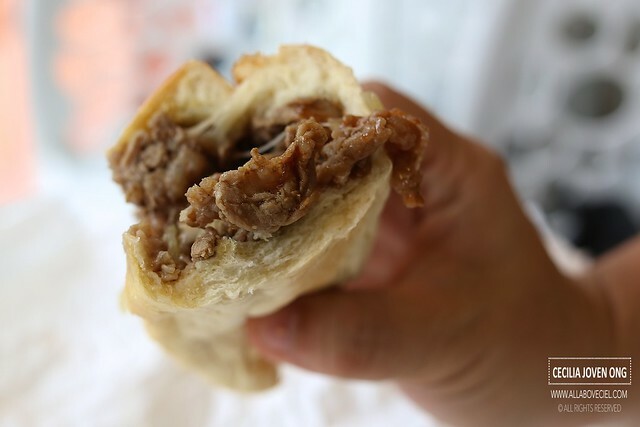 A substantial portion of same beef Sirlon slices and caramelised onions together with provolone cheese were sandwiched in between the bread roll. 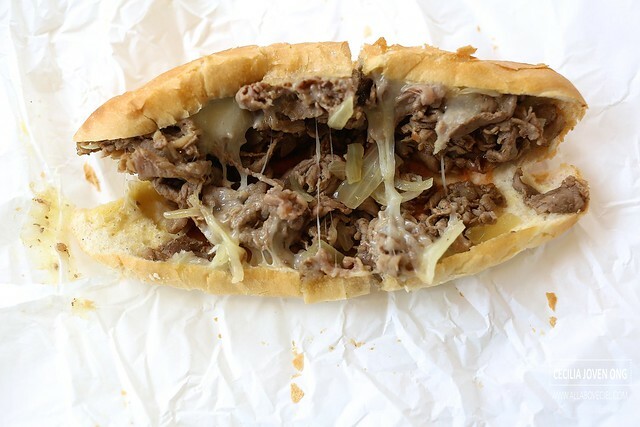 You could even see the cheese slowly pulled apart in the sandwich. 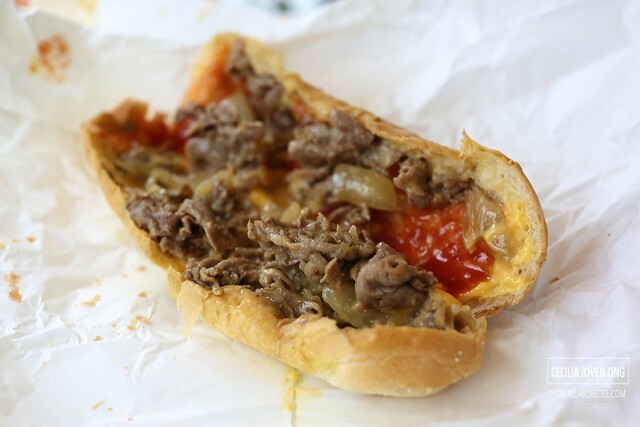 I strongly felt that cheesesteak can never be called a cheesesteak is not enough amount of cheese is added to be so. 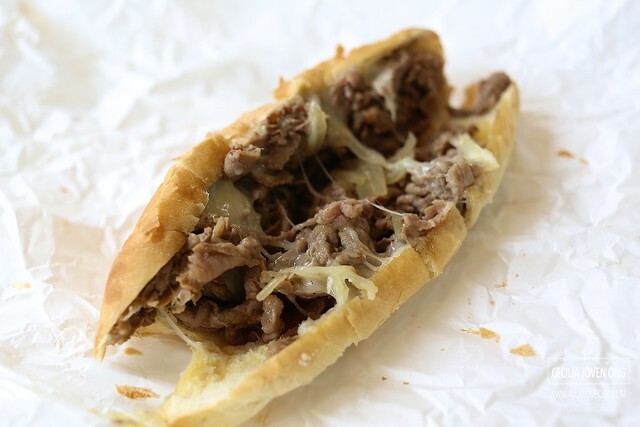 Would you even bother to try if you have to pay an extra for more cheese to be added or ask for cheese sauce to make it a cheesesteak? I believe in paying for what it is truly worth and not topping it up with extra cash just to get what you expected it to be. 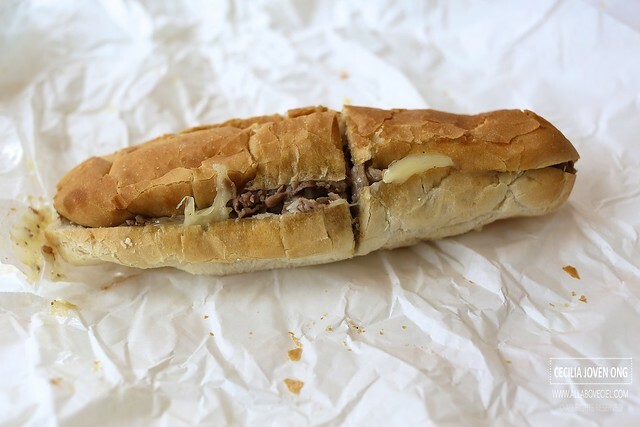 More pictures of the Philly Submarine. 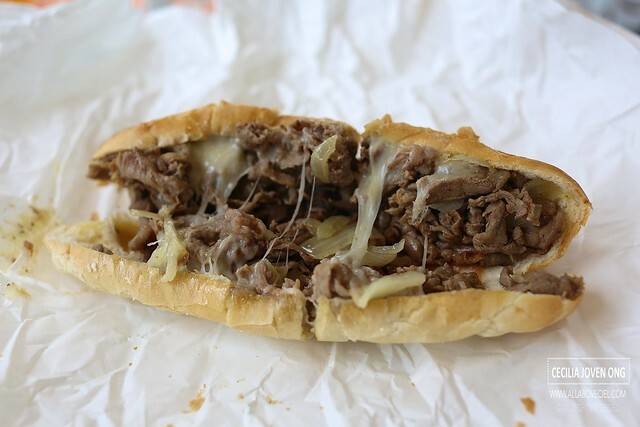 What an appetising sight with cheese shown in the sandwich in all these pictures. A rather big slice of beef spotted in this picture. 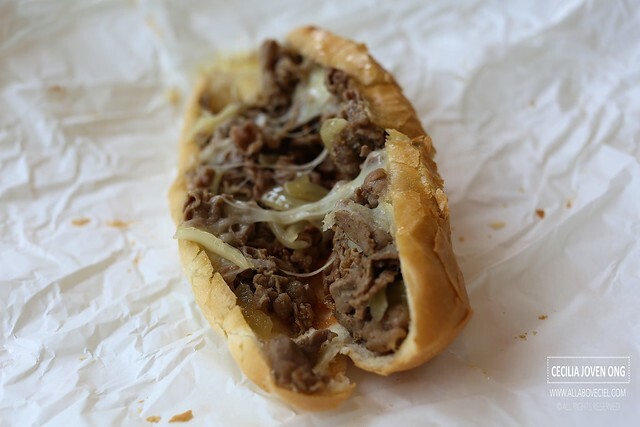 Though not addicted yet but i gotta be caution as habit is slowly forming to loving their cheesesteaks. 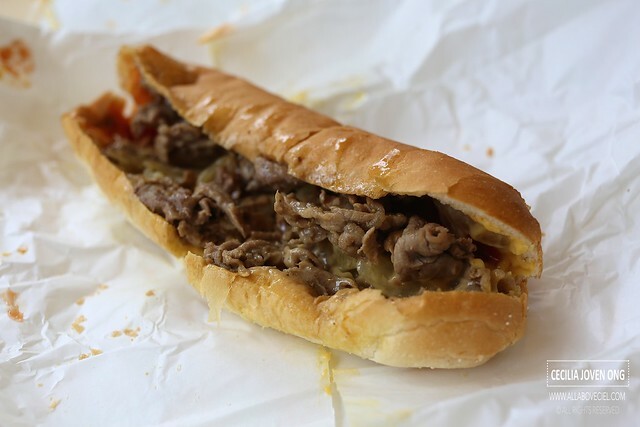 This might not be the best cheesesteak that i ever tasted but it was much better than the other that i tried in Singapore. 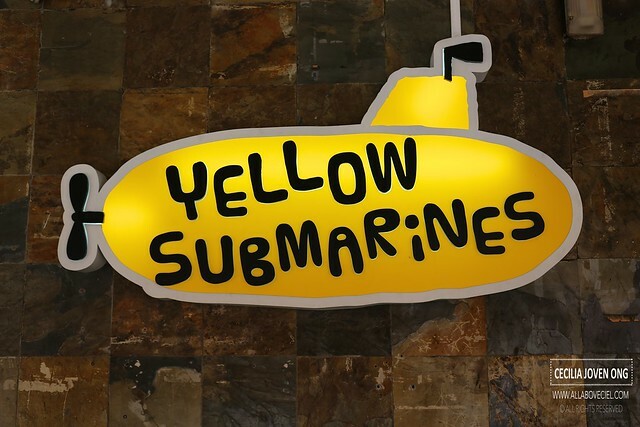 If you too, craving for cheesesteak then perhaps you should give Yellow Submarines a try and totally forget about going elsewhere unless you want to have a bad experience. Block 177 Toa Payoh Central #01-110 Singapore 310177.